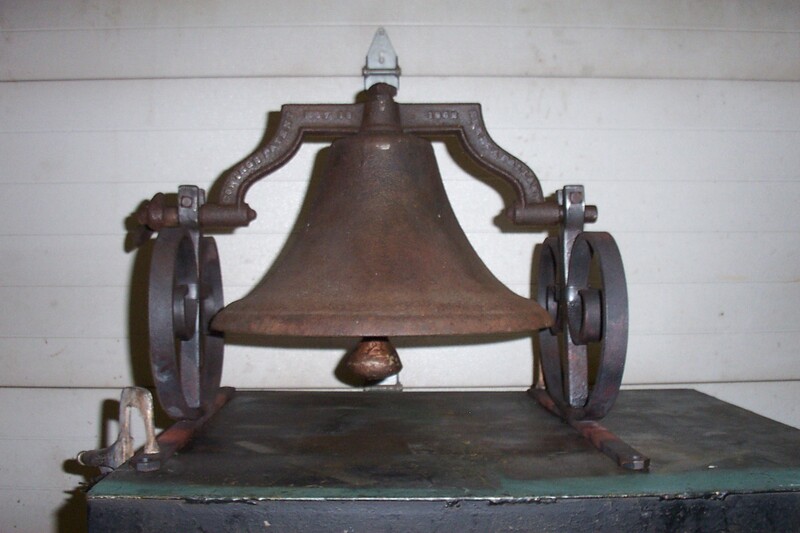 This very early cast iron School House Bell is a #2 COWINGS PATENT NOV 18-1862 SENECA FALLS NY. It is 16 1/4″ in diameter, and features an adjustable bell crank. 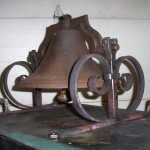 The bell is in excellent original condition with the yoke and bell crank. The clapper is also cast iron, and is marked #2. 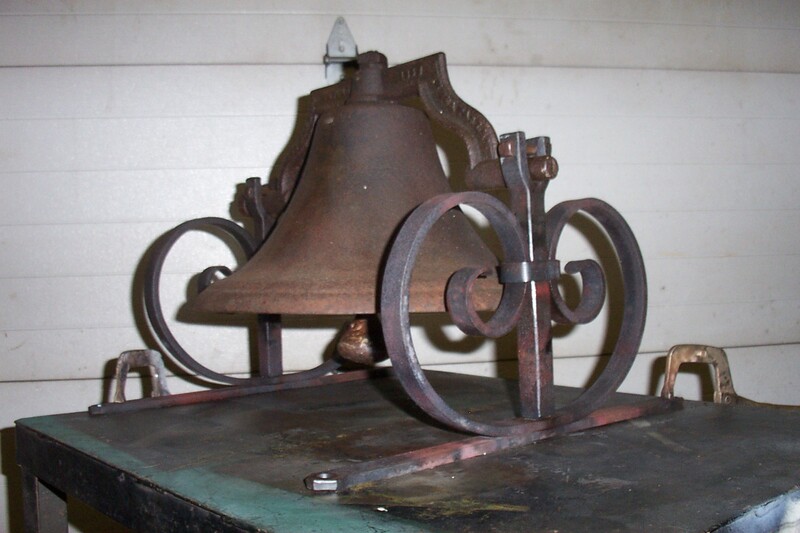 The bell has a very nice ring, and resonates like a bronze bell. 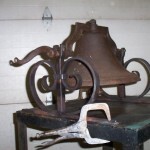 There are no cracks or repairs on the bell or associated original parts. 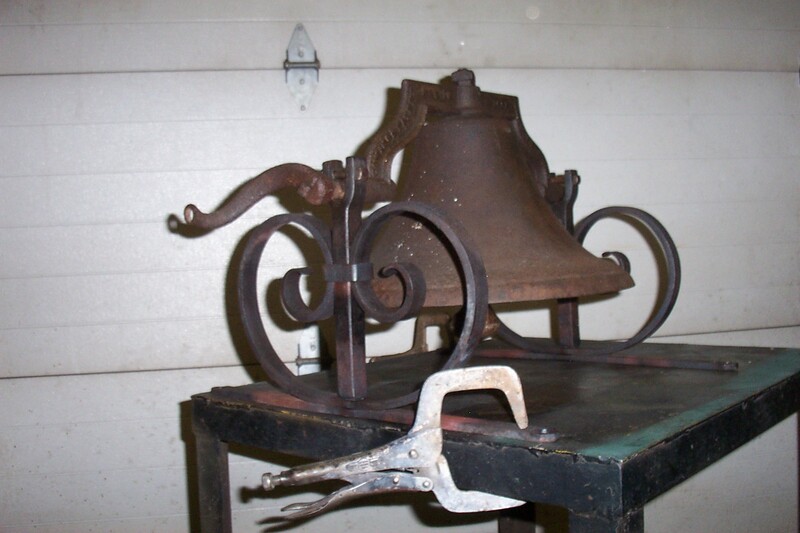 The cradles were professionally blacksmith made. No modern welding methods were used when making the cradles. 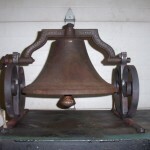 This bell weight 78 lbs. with the blacksmith made cradles.